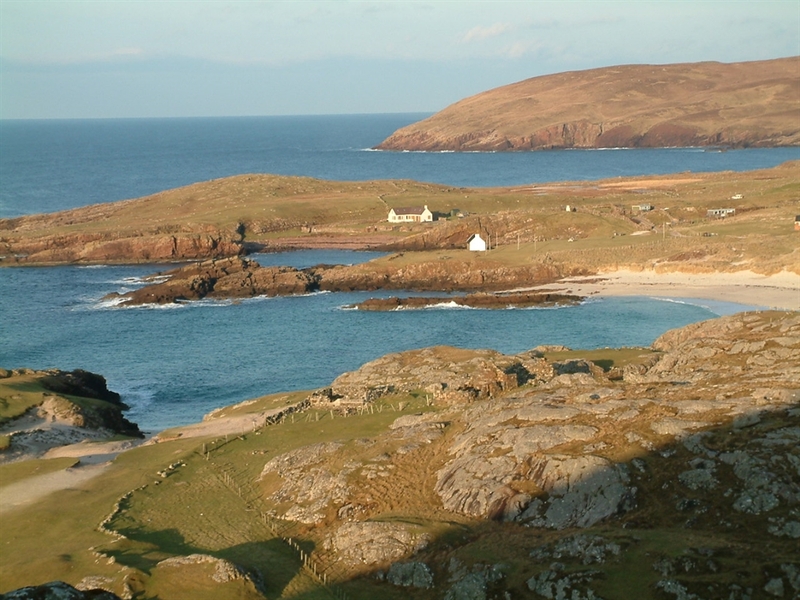 The house is situated within yards of the sea, facing south, at a most spectacular location overlooking Clachtoll Bay. The view from the lounge window and patio is possibly one of the most stunning in Scotland. In the immediate foreground, the dramatic shape of the Split rock at Clachtoll frames the major mountains of Wester Ross. This incredibly beautiful panorama includes Coigach, An Tealach and Torridon, extending over 50 miles south to the peaks on the Island of Skye. The walled garden area encloses an important historical settlement, including the remains of Rev. Norman MacLeod's house and some of the original buildings at Clachtoll. A Pictish Broch is located at the edge of the 30 acre croft. A beautiful quern found under the flagstones in one of the ruins, is now a feature above the fireplace in the lounge. Artistic owners have designed an interior of considerable character equipped with an extensive library and high quality furniture and fittings. 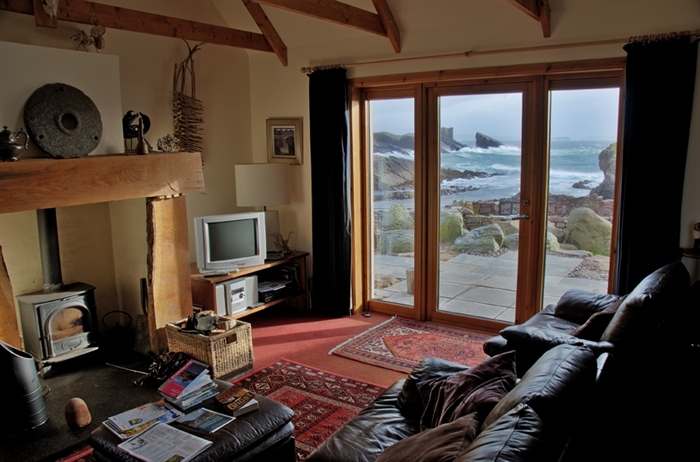 This cottage makes the ideal centre to explore the varied delights of Assynt.